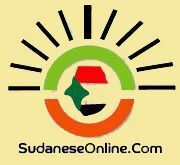 Khartoum, Oct.24(SUNA)- Sudan and Chad, on Monday held a parliamentary talks , wherer Chairman of the Parliament's Agricultural Committee, Abdalla Masar chaired the Sudanese side and the Head of the visiting Chadian parliamentary delegation , Rajab Masar presided over the side of Chad. Abdalla Masar informed the Chadian delegation on components of the National Legislature , referring to specialty of Sudanese-Chadian relations coordination of the two countries over international issues. Head of the Chadian Parliamentary delegation , on his part, pointed to existence of coordination between Ministries of Agricultures of the two countries in combating grasshoppers and making use of Sudanese experiences in field of agriculture.